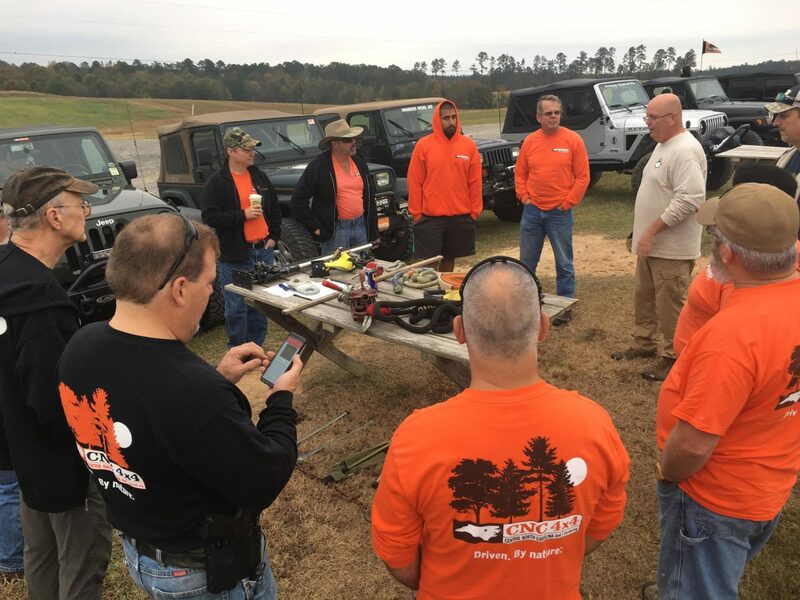 This list provides guidelines for which equipment is mandatory, recommended, and suggested for official club trips and 4-wheeling in general. Note: Drinking and driving don’t mix. Alcohol is forbidden for driver and passenger while trail riding. Mandatory: TrailBoss will forbid participation in club events if not equipped. Recommended: You’ll be happy that you included it! Suggested: Why rough it more than you need to? Get the appropriate trail pass and map for the park that you are at. Air down your tires. Stock size tires- go down to ~18psi. 33″ or 35″ tires go down to ~15psi. Disconect the swaybar if applicable. Full or close-to-full fuel tank. Don’t get too close to the vehicle in front of you. Keep the vehicle behind you in sight. Can’t see them? Then, Stop. Thumbs out of the steering wheel. They should be wrapped on the outside like the rest of your fingers. When in doubt- Stop. Get out and look. Need some help? Stop and ask for it. If there are multiple people trying to spot you through an obstacle- point to one person and tell them you are going to listen to them and only them. It can get confusing if multiple people are trying to tell you what to do and you are trying to listen to all of them. Stay calm and take your time. Everyone should travel at the pace they feel comfortable. The goal is to have a good time. Don’t worry about anything. If you are stressed out then you are doing it wrong.